you with a litigation team to take your case through trial or settlement. Have you been treated unfairly at your job? Have you been discriminated against at work? Does your employer owe you unpaid wages? Whatever your employment issue, the law firm of HenkLeonard, in Roseville, California, can provide you with a litigation team to take your case through trial or settlement. Our Roseville employment lawyers represent clients in all kinds of work-related disputes, including wage and hour violations, disability discrimination, wrongful termination, sexual harassment, leave of absence, and negotiation or review of severance packages. A variety of other employment-related issues, including family medical leave violations, sexual harassment, retaliation and wrongful termination. 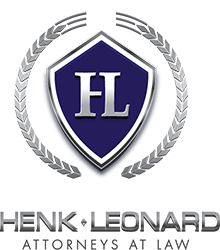 HenkLeonard is primarily a litigation firm with a combined 45 years of experience in taking employment cases to trial throughout California. In addition, our team of attorneys will also perform non-litigation services, including reviewing contracts, negotiating severance agreements and giving advice on legal issues exclusively to employees. We have litigated cases in many different Counties in California. We practice in Alameda, Alpine, Amador, Butte, Calaveras, Colusa, Contra Costa, El Dorado, GLenn, Lake, Lassen, Madera, Marin, Mariposa, Mendocino, Merced, Napa, Nevada, Placer, Plumas, Sacramento, San Francisco, San Joaquin, Santa CLara, Santa Cruz, Shasta, Sierra, Solano, Sonoma, Stanislaus, Sutter, Tehama, Yolo, and Yuba. ATTENTION: Please note that HENK LEONARD only represents clients, without exception, if they have entered into a written legal services agreement with HENK LEONARD. Simply inquiring about a case, either by phone or e-mail, is not an agreement by this firm to represent you or act as your attorney.